"Beautiful and smart. They don't really make them like you anymore." "Pretty and arrogant. They make too many of you." "Did you just call me pretty?" His expression shows mock horror. "Did your mama tell you that? You know parents lie to their own kids to make them feel better right?" As he spoke, an almost dreamy expression shone in his eyes. It's like he was talking about something precious, something precious to him. "Goodness, am I allowed to breathe?" "Hey, talk to me." Logan says, coming up behind me. He's brave to take that step toward me and suddently, I can feel his heat surrounding me. As someone whose dominant reading tastes hinge greatly on romance and the romantic aspects of books, it's not often that I take a chance on books that can't be pretty clearly defined as ROMANCE. There are, of course, exceptions to this, but more often than not I just get bored. But I picked up Pieces of Revenge anyway because it looked good. REALLY good. I thought I'd like it. And you know what? I did. First and foremost, I loved the premise. It was interesting and caught attention right away. Whether I connected to the story or not at the beginning, I was ALWAYS interested in figuring out what the eff was going on. Not in a confused way (though there were times I was confused), but in a curious way. I wanted to figure out where the story was going. I was jumping on for the ride. The book hooked me in that sense early on and it never let go, which was such a high point for this book. The characters were just as interesting as the premise. Tasia was both an open book and mysterious at the same time, which was actually pretty cool. We saw so much of what happened, where she was from, what she's like now...but we also don't know as much as we think we do. And I LOVED that. It's fun when you know so much about a character and then realize you really have no idea. And Logan. He wasn't really mysterious, but he was a nice guy. I definitely liked being around him. He didn't surprise me much at all, but I was thankful for his presence more than once. I seriously like this dude, and I have faith in him. 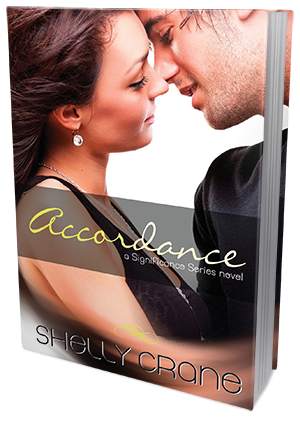 There WAS romance in this book, but I can't say it was the best aspect of this story. Which is kind of the point--the focus is on the fact that Pieces of Revenge is a sci-fi thriller. THAT is an accurate description. But there was romance. I liked it, and at times it made me smile and gave me warm fuzzies. Tasia and Logan together are so amusing. But I also felt like their relationship wasn't much of anything. It was fast and then the end happened, and I never felt like they got to create this strong relationship throughout the book. They had a shaky one, yes. They were working it out, yes. But it wasn't solid. I'm not really mad about that, because other aspects of the book definitely WERE solid, and I have hope for the romance in the next book. The writing was good. It hooked me from the beginning, and I was interested the whole way through the book. The plot kept us on our toes--the characters did, too. The ending left off at a good spot, and it also left me so curious about what would come next. Overall, I really liked this book. But I did have a few issues with it. Namely, my difficulty to connect. I was interested in what was going on the whole way through the book, but I didn't care as much as I should have. This did change farther into the book, though not as early as I'd have liked. Going a sizable chunk of the book without caring too much isn't preferable. My only other gripe is with the romance, which I mentioned before. It was sudden, then it was fast, and it never felt quite steady. Both of these issues I had with the book didn't take away from me ultimately liking the book, however. And in the end I DID turn out caring, and I have hope that the romance will get better as the series goes on. I really did like this book, and I'm glad I picked it up. It was a nice, refreshing step out of what I usually read. 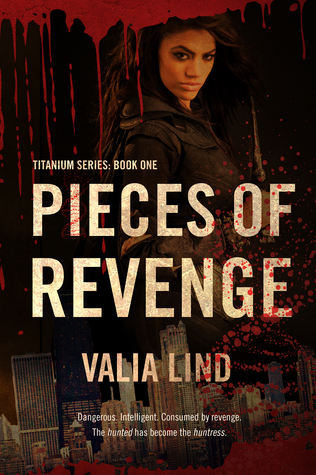 I definitely recommend Pieces of Revenge to anyone looking for a good sci-fi thriller, and also to anyone who doesn't usually read the genre but wishes to step a little out of their comfort zone. That's what I did, and I am so glad I did it. This book was good, I ended up enjoying it, and I look forward to continuing the series.